3D Printing Asia 2015 had attracted the top additive manufacturing enterprises from 12 countries and regions, with 45% increase in area compared with 2014. 3D Printing Asia 2016 will continue to show you the latest and the most comprehensive products and technologies in additive manufacturing industrial chain. 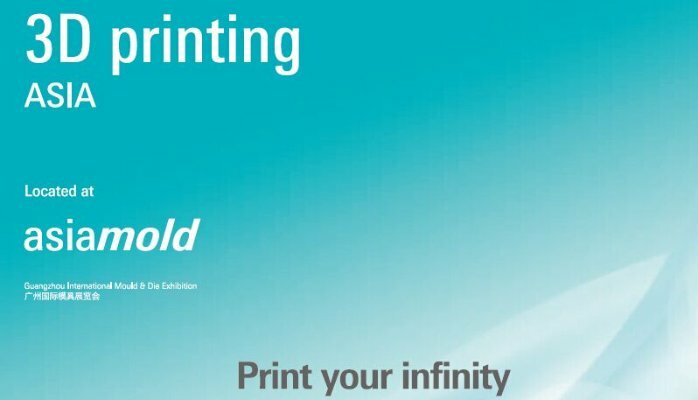 The exhibiting products include industrial printers, personal printers, metal printing, plastic printing, ceramic printing, and selective laser sintering etc. More than 30 professional seminars and product promotions are incessantly held during the show, to know the industry development trend and overcome additive technology problems. 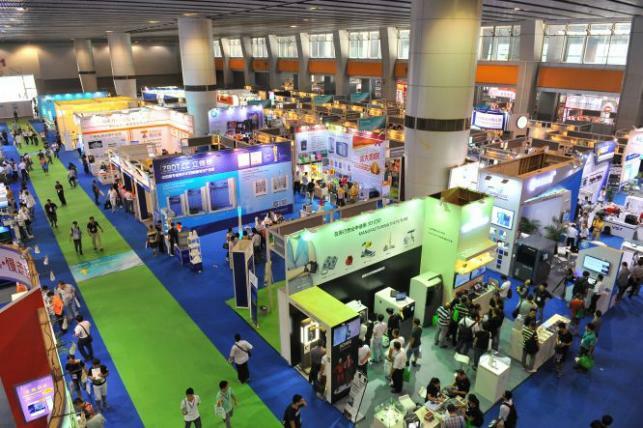 Participating companies said that 3D Printing Asia is the best business platform to showcase and promote additive manufacturing, and create perfect opportunities for them to explore global 3D printing market rapidly. 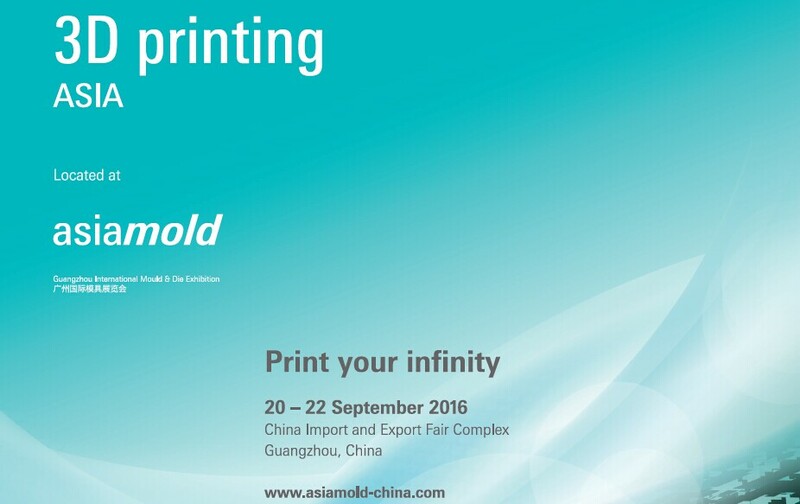 Acknowledging this market growth, 3D Printing Asia Zone will be featured again at Asiamold 2016. The specialised zone will gather world-leading suppliers in 3D printing, rapid prototyping, CAD/CAM software development, 3D laser engraving and other related areas in one location. This helps manufacturing- and consumer-focused buyers to streamline sourcing. Manufacturing firms represented a large portion of visitors to the show, with production specialities including automobiles, electronics, home appliances, aeroplanes and associated components, ship building, telecommunications, consumer goods and medical devices. In total, 21,776 professionals visited the three-day event at Asiamold, as well as more than 65 visitor delegations from companies such as Colgate, EPSON, FAW-Volkswagen, OSRAM, Emerson, Foxconn, Honda, BYD, Gree Electic, Unipres, Midea, Esquel and others, reaffirming the importance of the specailised 3D Printing Asia Zone to the region’s growth.